Frogs are a boys mystery pet. 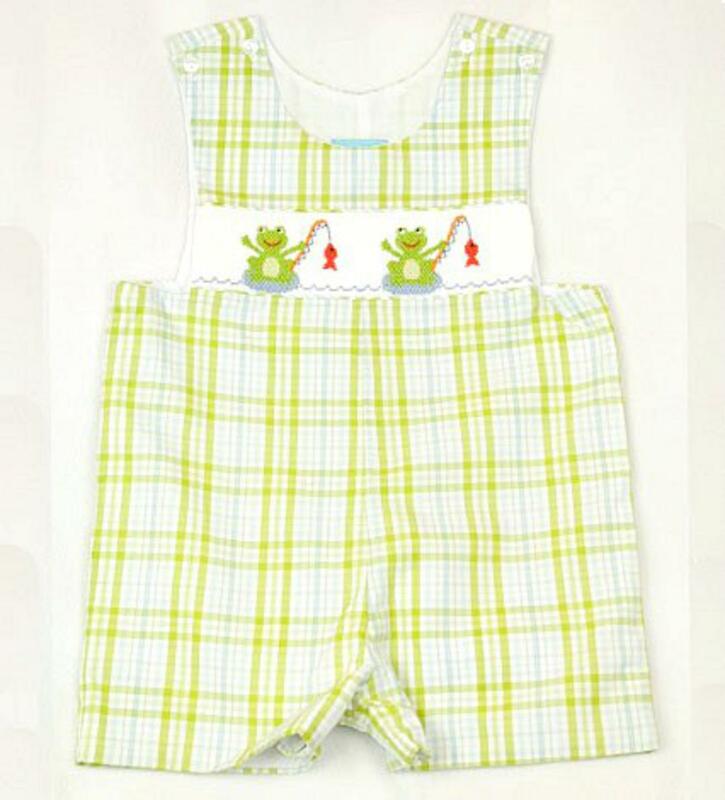 The green, blue and white plaid romper has hand smocked frogs fishing on the chest. There is two buttons on each shoulder to get over a childs head easily and snaps along the inside of the legs to accommodate diaper changes. The adorable romper is 55% cotton and 45% polyester.